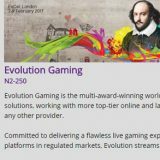 Evolution Gaming will be one of many Live Casino Software providers exhibiting at the ICE Totally Gaming Conference between the 7th – 9th February 2017. They will be announcing one new game and another convergence option for Land-based Casinos. They will also be demonstrating some of their recent releases at the show. Evolution Gaming, a leading provider of Live Casino solutions, will launch two brand-new products on stand N2-250 at ICE 2017, as well as showcasing exclusive Live Casino content developed in partnership with Scientific Games. 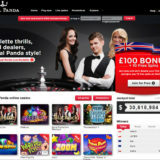 In addition, Baccarat Control Squeeze — Evolution’s fastest growing game – will make its ICE debut, while Dual Play Roulette (the convergence solution installed and streaming live from London’s Hippodrome Casino and The Ritz Club and deployable in both B2C and B2B formats) will also be on live demo. Although details of the two new products scheduled for ICE launch have yet to be disclosed, they do promise to be “as real as it gets”. Evolution says the first is an all-new game, while the second will extend Evolution’s convergence offer for land-based casinos. 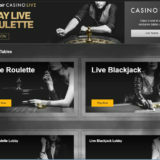 A comprehensive portfolio of casino classics forms the core of Evolution’s Live Casino offering. This includes numerous multi-camera, multi-channel variants of Roulette, Blackjack, Baccarat and Poker, all of which will be on show. At this year’s ICE particular emphasis will be given to Evolution exclusives such as Three Card Poker and Ultimate Texas Hold’em. 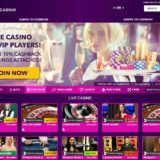 Both games are the result of an agreement with Scientific Games, through which Evolution is the exclusive provider of the Live Casino versions of these dominant Poker games. All games run on desktop, tablet and smartphone using Evolution’s new User Interface and Live Lobby (as previewed at ICE 2016), with every single game now upgraded to load even faster and play in 16:9 HD video. Visitors will also be able to see Evolution’s new Progressive Jackpot integrated into Live Caribbean Stud Poker. This is sure to attract further slots players to Live Casino with its offer of an increasing big-money main jackpot prize for a Royal Flush, and fixed lower level prizes for a range of other Poker hands. Other focus areas on Evolution’s two-tier ICE stand will be mobile solutions and game integrity. The release of Evolution’s Roulette portfolio in mobile portrait format is likely to be another incremental revenue earner for operators. Mobile continues to be a key driver of growth, with this channel accounting for 43% of Evolution licensees’ Live Casino revenue on average, and over 50% in the case of leading Evolution licensees.